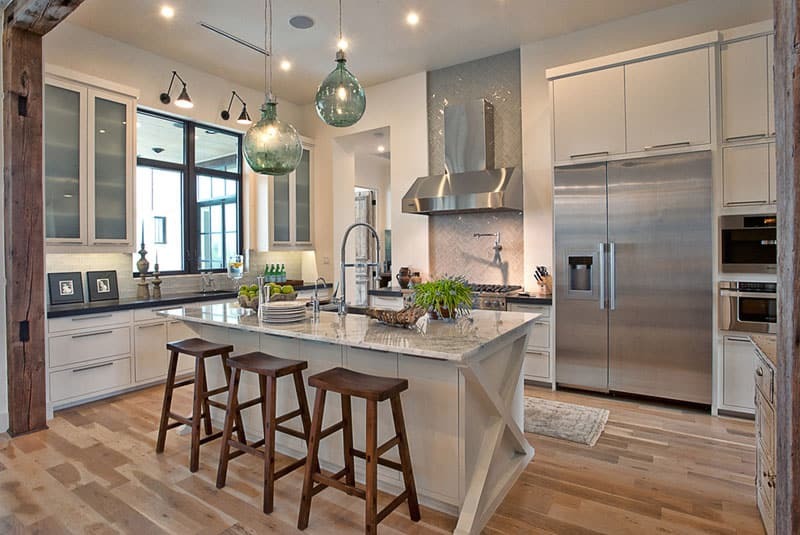 Home » Kitchen » What Type of Pendant Lights Should You Get for Your Kitchen? So you’ve settled on pendant lights in your kitchen, congratulations! You’ve significantly narrowed down your tens of thousands of options to thousands of options. 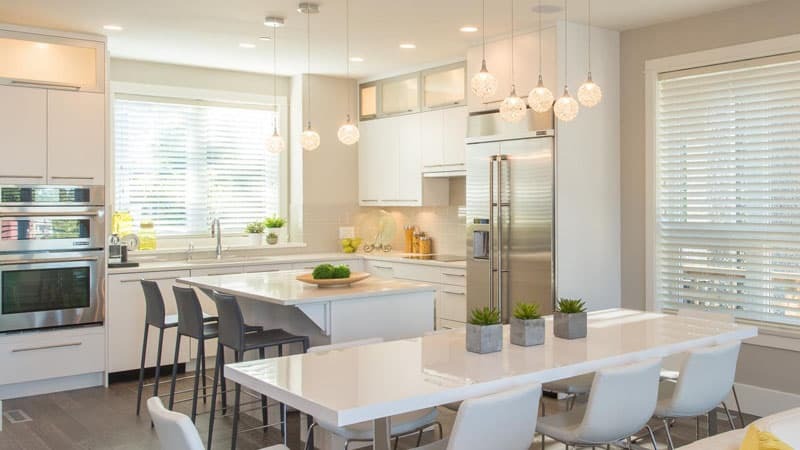 However, since you don’t exactly have the space for 5,169 different pendant lights in your kitchen, you still have some narrowing down to do. Just like all kitchens were not created equal, all kitchen pendant lighting is not the same. What is a pendant light? A pendant light is a type of ceiling light. 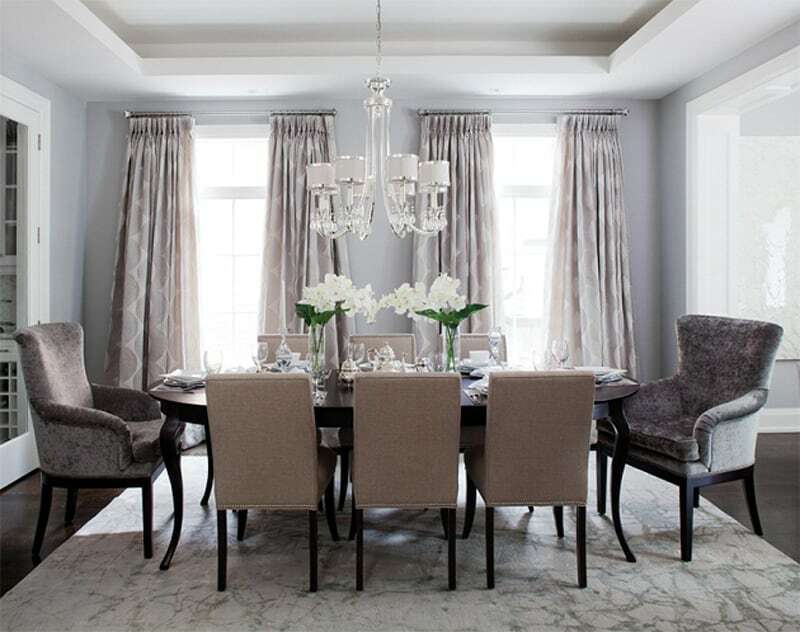 Pendants are single light fixtures, suspended from the ceiling by metal rods, chains, or chords. Pendant lights are incredibly versatile and used throughout the home in one of two ways: as standalone fixtures or in multiples. 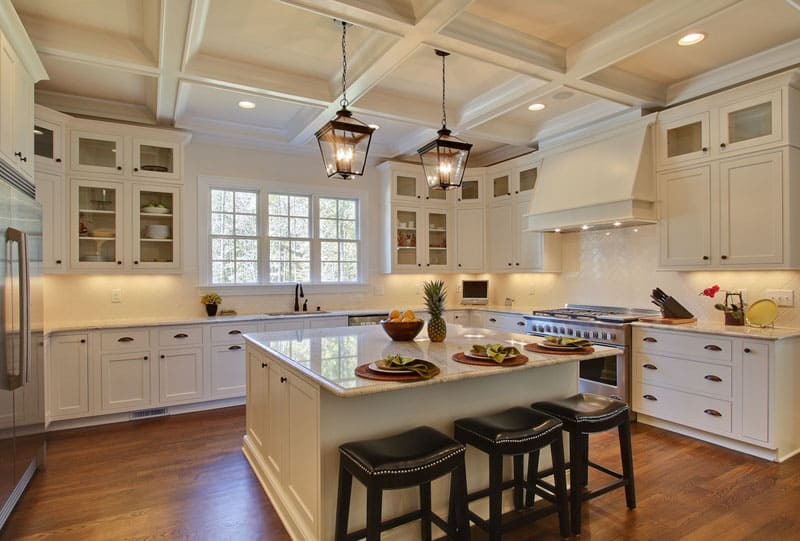 When used specifically as kitchen pendant lighting, these fixtures are especially valuable. Drum pendants are suspended with a cylindrical shade around the light source. Drum pendants come in a variety of sizes and materials, but tend to be larger than most other styles of pendants. Drum pendants tend to be more adaptable when it comes to lighting a space. They’re equally equipped to light the entire kitchen, as they are to light one spot. Bowl pendants are quite commonly used as kitchen pendant lighting, suspending the light source inside a bowl-shaped shade. The bowl-shaped shade is fixed in one of two ways: standard, with the opening of the shade facing the floor and projecting the light down to a more specific spot, and inverted, with the opening of the shade closest to the ceiling and reflecting the light up and illuminating the whole room. Oversized bowl pendants are also a great way to make a statement in your modern kitchen. Teardrop pendants are shaped like their namesake. Teardrop pendants are typically hung in multiples, as they tend to be smaller. They can also be open or closed in shape. 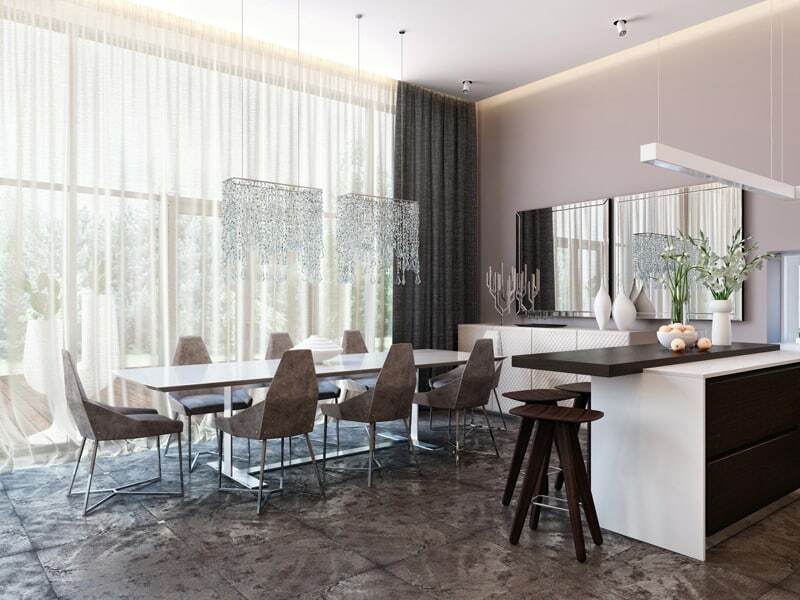 For example, open teardrop pendants look more like upside-down wine glasses, whereas the closed tear drops have no lip and the light shines through their glass housing. Open teardrop pendants are best for spot lighting, as they direct a small stream of light down. Globe pendants contain the light source inside a spherical housing. 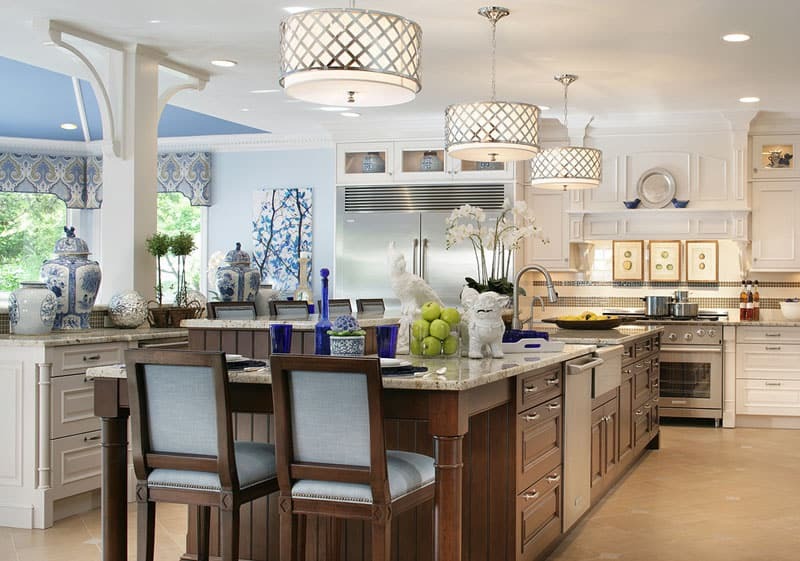 Frequently ornate in design, these are some of the most eye-catching kitchen pendant lighting fixtures. Globe pendants tend to radiate more of a glow, as opposed to forcing a visible beam of light in a specific spot. A close cousin of the globe pendant, geometric pendants tend to surround the light source completely, though in an angular or geometric housing, as opposed to curved and spherical. Due to their less restrictive, and often irregular shape, these pendants are fun and easy to DIY. Geometric pendants are also quite the attention-getters and will certainly enhance any kitchen space. While they don’t offer the greatest directed lighting due to their complex design, they’re best used to light the entire kitchen rather than flooding a specific spot with light. Mini pendants are almost always hung in groups because, as their name implies, they’re smaller than their counterparts. 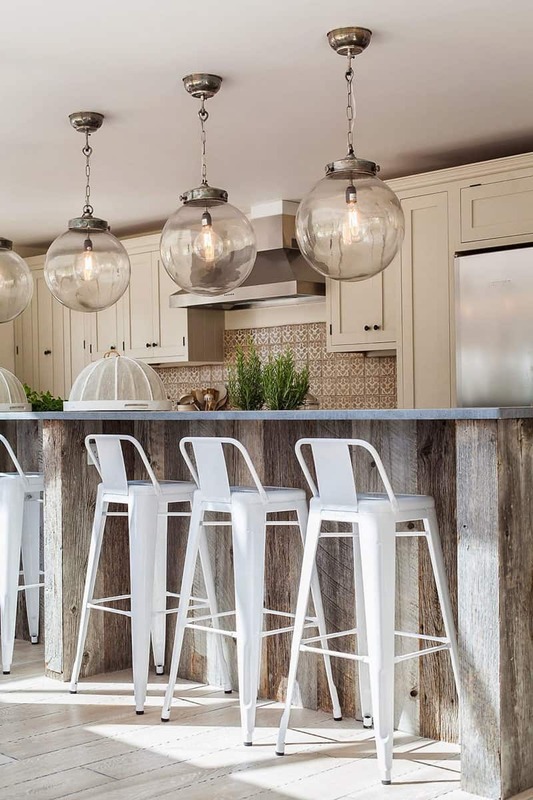 Mini pendant lights are especially fun in the kitchen because you can hang them in clusters, at various heights, to create a beautiful eye-catching display that literally lights up the room. They’re also excellent for lighting a specific spot, like a kitchen island. Like different people dress differently in an effort to flatter their different body types, different kitchens should be lit differently to accentuate their unique features. Ceiling height, color palette, purpose of lighting, and more should be factors when choosing which pendant lights to use. After all, you wouldn’t want your kitchen-island lighting to illuminate the entire kitchen, would you? 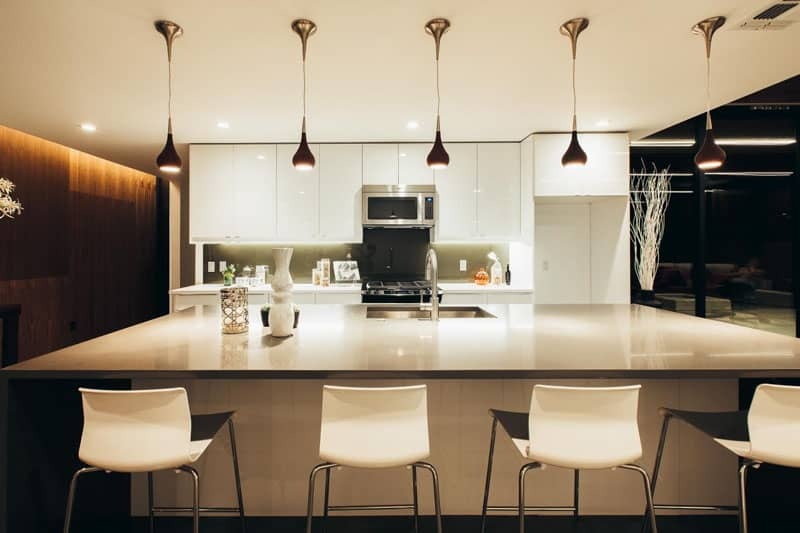 Regardless of what your kitchen looks like, there’s certainly a pendant light fixture for it.